Watch Out ! Plastic Product Design Pitfalls ! You’ve had a design done, you’ve had models made, you’ve got the quotes in and you’re ready to press the fire button. That’s often the moment where someone realises that the design they’d had done was great, as a plastic product design, but it hasn’t been designed with a specific plastic part production process in mind. Cue re-designs, re-modelling, re-testing, re-costing and DELAYS. So here are 3 often occurring, easily prevented design pitfalls. In 3D printing, the part is laid down line for line from the bottom up, so you can easily have undercuts (what’s one of those ?) 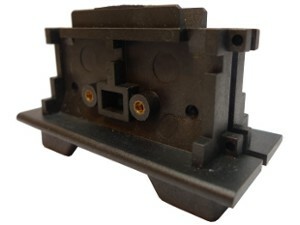 In injection moulding you can have undercuts too, but they need to be carefully thought about in terms of unmoulding and tool cost. 3D models don’t have join lines, which need to be thought about carefully in plastic moulding design, for both aesthetic and functional reasons. Technical injection mouldings may well need to take screws. You can either screw straight into it with a self-tapper, but if the part needs to be service-able, inserting a metal screw insert first is a better way of working. The design needs to allow for this, but has someone actually measured the screw and the insert ? Brass inserts are most often an off-the-shelf product. The nasty surprise could be that the part isn’t thick enough to take the screw insert or screw. So easy to prevent ! One way of preventing these issues is to come straight to us for your product design ! We’ll take the most suitable manufacturing method and the most economic way of making the product into account right from the beginning.